Giant critters were a staple of the drive-in fare of the late 1950s. “Tarantula”, “Them!”, “The Beginning of the End”, and so many others — the genre consisted largely of forced perspective filming, footage of animals super-imposed over actors, and the occasional puppet. In these standard techniques “The Black Scorpion” falls squarely on its drooling face. Where it excels is in the superb use of stop motion animation for the majority of its creature effects. The film opens on stock clips of volcanos and earthquakes as a narrator ponderously explains the setup. He tells us that before forces that are “the most violent of modern times”, the people of Mexico can only pray. (Cue prayer footage.) A new volcano is formed, he tells us, and it grows 9000 feet in only a few days! No one will be seated during the rather bland opening credits. When the opening credits end, we see a jeep hauling a small trailer through the wasted landscape. The vehicle stops, and our male leads climb out to drop some exposition. Hank Scott is an American, visiting Mexico through the courtesy of Professor Artur Ramos. They are geologists who’ve driven through the destruction for three days to reach the new volcano. Amid all the waste lies a literal sign of life: a road marker which (if somehow still close to its standing position) indicates that they are 117K from Mexico City1 and only 12K from San Lorenzo. There are also indications that at least one other vehicle has been through here recently. Continuing their journey, Ramos and Scott come upon workers repairing phone lines. These men affirm that San Lorenzo is near but haven’t heard how the town has fared in the wake of the disaster. The bridges might be out, they warn. A police car that headed that way never came back, though, so it’s possible that the route is clear2. The geologists thank them and continue their thrill-a-minute drive. They locate the police car in a tiny deserted village. The car, and pretty much everything nearby, has been demolished. They can’t tell by what, but it may be related to that buzzing sound… Scott and Ramos find one survivor (a baby) and one victim (the police officer). They use the police radio to call in their discoveries then continue on to San Lorenzo, where military assistance should arrive the following day. A crowd greets them in San Lorenzo, and after handing the baby to a nearby woman our heroes join Father Delgado for some dinner and expository dialog. It seems that in the aftermath of the eruption there have been other disappearances and unusual destruction. When victims have been found, their bodies are bloodless and their faces frozen in fear. Largely fueled by rumors from local caballeros, the masses believe it to be the work of a demon bull3. Of course, none of this dissuades our intrepid duo from heading ever closer into danger. The following day, against the advice of Major Corsio (head of the newly arrived army unit), our action geologists continue driving toward the new volcano. They meet up with Teresa Alvarez, owner of the Alvarez ranch (whose cattle herders have fled, fearing the demon bull). Ramos discovers a sheet of unearthed shale, and after a lot more exposition and a meal the plot finally lurches begins in lugubrious earnest. If you think I didn’t care for this movie, you’re partially correct. The pacing is atrocious, the plot meandering, and the direction tepid. I’ve seen far worse, but on a scale of “Unwatchable” to “Play It Again Now!” I would give it an honest “Well I’ve Seen That Now”… except. Ah, except for the wonderful, animated scenes of giant scorpions and other critters! 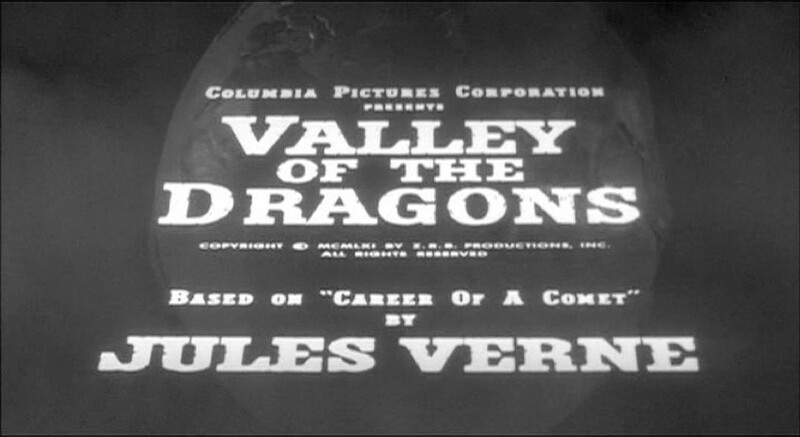 The great Willis H. O’Brien (“King Kong”, 1933) designed and supervised the effects, and his protegé Peter Peterson handled the actual animation. There are a few major set pieces, and they are a joy to behold: the lost underground world, the train tracks, and the stadium. The scenes at the train and stadium feature a lot of giant scorpion on vehicle violence and even the grisly demise of a few animated people. They’re a fun treat for fans of stop motion animation. Wait. Six legs? We found the spider that everyone in “Camel Spiders” kept talking about! Remember Teresa Alvarez, whose caballeros believed in a demon bull? Juanito is a servant boy on her ranch, and it is truly unfortunate that he stuck around. Whenever he’s told to stay put, he immediately sneaks off to run straight toward the scorpions. It’s amazing to me that nobody ever thought to tie Juanito down. Naturally, when Ramos and Scott decide to descend into the crater via a lowered cage, Juanito tags along. This, immediately after being discovered hiding in the jeep, whereupon he had once again been told to stay the hell put. Somehow, two scientists fail to detect the child during a twenty-minute descent in a cage the size of a closet. Once they reach the bottom, the men tramp off, leaving Juanito to find some danger — which he does with a quickness! Juanito leaves the safety of the cage and wanders directly to the lair of a big damn spider. This kid is so determined to die that he actually tugs at the spider’s trap door! Naturally, Ramos and Scott must rush over to save him. Mercifully the action soon moves to Mexico City, and the plot is no longer propelled by Juanito’s self-destructive urges. This spider is an odd one. For one thing, it only has six legs. That’s assuming that the front appendages with pincers are pedipalps, which they would be on a scorpion. Additionally it doesn’t exactly leap out of its tunnel, which sadly allows Juanito plenty of time to get running. If we’re to assume any attempt at historical accuracy it could be that this arachnid is from a lost family of the sub-order Mesothelae, but it seems unlikely that much thought went into it. With limited time and budget O’Brien and Peterson put the main effort into the scorpion models, which are excellent. The spider and another creature (a sort of worm with arms) are left over from O’Brien’s work on King Kong! They were two of the monsters at the bottom of a ravine, in one of the most famous cut scenes in the history of cinema. It’s neat that they were pressed into service again a quarter of a century later, but their design esthetic does not sit well alongside the more modern work. Budget is the enemy of many films, but its lack is painfully visible here. The super-imposing process of the 1950s was labor intensive, and there was just too much to do. The result is a number of scenes that show the silhouette of a scorpion over running crowds. This is the matte over which the animation was to be placed, and it doesn’t look good on its own. The other thing that looks bad is the scorpion head used for close-up shots. O’Brien supposedly supervised all of the effects, but he must have been looking elsewhere when this puppet was made. All of the realism and artistry of the animation models is completely absent here. It has a goofy, gaping maw that’s constantly drooling and googly eyes, and it looks nothing like the creatures taking apart trains and pulling helicopters out of the sky. 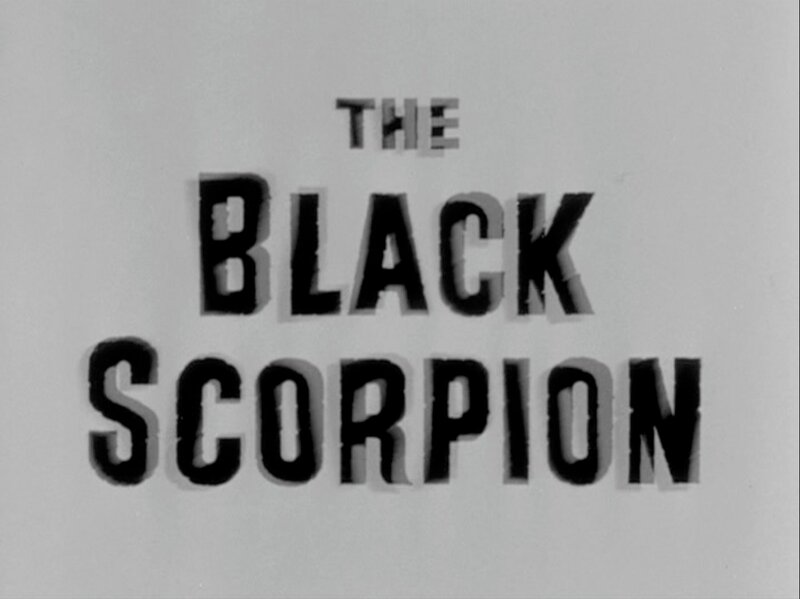 Hampered by a meandering script and budgetary constraints, “The Black Scorpion” nonetheless marks a high-point in arachnid cinematic effects. Far superior to most puppets and better than low-budget CGI, it’s a shame they weren’t part of a worthier movie. 1. It is actually far from ludicrous to imagine a volcano appearing so near Mexico City. The city lies in the path of the Trans-Mexican Volcanic Belt, which forms a roughly latitudinal line across the country. There is even an active volcano only 40-some miles away. I will not speculate as to the odds of the spontaneous generation of such a massive new volcano in the region, but I think that the side effects of such an event would be catastrophic enough without adding giant prehistoric scorpions into the equation. 2. Whenever a character thinks that someone never returning is a good sign, I can only marvel at their innocence. If I go two hours without hearing from someone, I assume they’ve been eaten by dingoes. 3. Sadly, the legend of the demon bull is largely glossed over. It seemed far more plausible than the actual danger presented. 4. Nope. 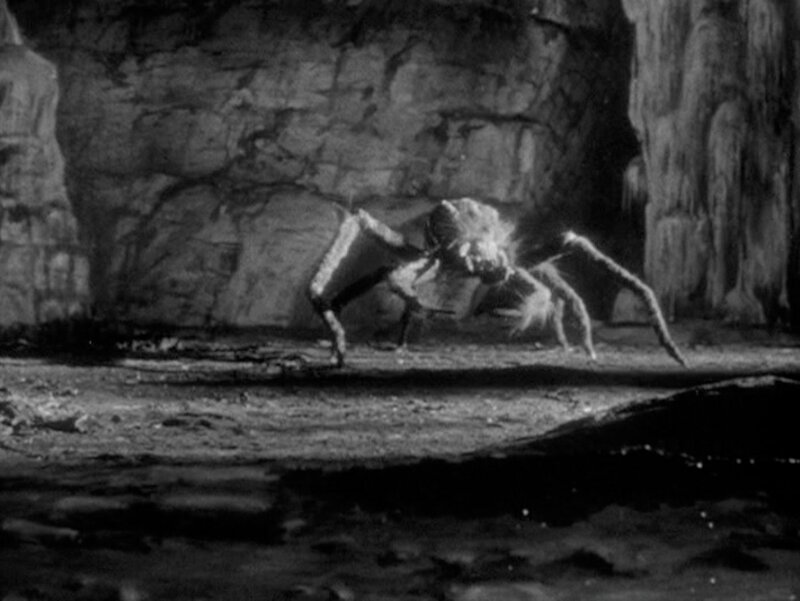 I’m not invoking the scorpions-are-arachnids clause to justify including this movie in the Big Damn Spider canon, although scorpions are way closer to spiders than whatever the heck this creature is. It only has 6 legs, so maybe it’s an escapee from “Camel Spiders”.